Gamers of a certain age may be familiar with the name Coleco. The American firm started out as the Connecticut Leather Company in 1932 and went on to make some of the earliest video game consoles: The Telstar series of consoles from the late seventies, and the ColecoVision from the eighties. Now, the company is making a return to gaming with the Coleco Chameleon, a retro-style console that will use cartridges. Coleco was declared bankrupt in 1988; partly because of the video game crash of 1983, and also due to the public’s waning fondness for Coleco’s once successful Cabbage Patch Kids dolls. It reformed in 2005, and one year later released the Coleco Sonic, a handheld console with 20 built-in games. 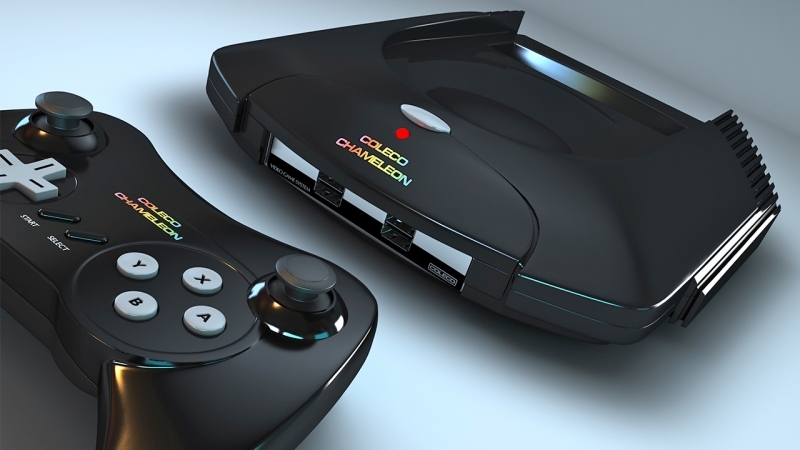 Coleco’s been pretty quiet since the Sonic, but it has just announced a partnership with Retro Video Game Systems to produce the Chameleon, which it plans to launch next year. Coleco says the console will "accurately play compilations of favorite games from the past" as well as "play brand-new games in the 8, 16, and 32-bit styles." The big draw for nostalgia fans is the prospect of returning to game cartridges. "All game cartridges will include high quality, plastic clamshell cases with illustrated instruction manuals and game developer liner notes," the company says. Retro VGS launched a crowdfunding campaign on Indiegogo earlier this year in an attempt to raise $2 million for a similar retro console. It ultimately raised just over $80,000, but the project attracted the attention of Coleco. According to Retro Gamer, the new machine is a redesigned and rebranded version of the original, and will be moving to a Kickstarter campaign at some point, though we don’t know what the funding target will be this time. Mike Kennedy, the founder of Retro VGS and the man behind retro games auction website GameGravel, called the Chameleon “a love-letter to all the classic cartridge based gaming systems that came before it." He says the console will transport players to "a simpler time where games were all about great gameplay and fun." Coleco will be showing off the console for the first time at the New York Toy Fair in February.